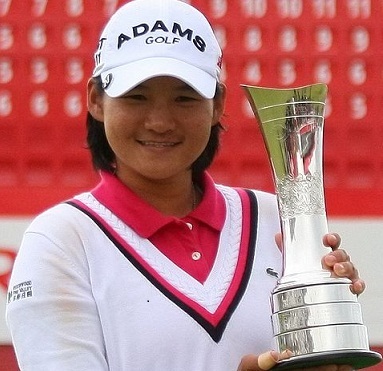 Taiwanese golf star Yani Tseng is having an up and down 2012 after a remarkable 12 wins last year. She’s officially the number one woman golfer in the world, but 2012 is already proving something of a roller-coaster year for Taiwanese star Yani Tseng. Tseng has won five major championships in her career, including four in the last two, which is pretty impressive when you consider that there have only been eight on offer. Despite her relative dominance, though, the 23 year-old struggled to find consistency at the Australian Open in Royal Melbourne last week, and she finished in eighth place. After the first round, she seemed well-placed in second, but that all changed after a terrible round on Friday. It was truly the stuff of nightmares for any golfer. At the seventh hole, she dropped no less than four shots – what’s known in the trade as a quadruple bogey.That round of 76 was followed by a much better 71 on Saturday, leaving her with a great chance of winning the tournament for a third successive time. Then on Sunday came a round of 74, including a triple bogey.In a tight field, she ended up just two shots behind eventual winner Jessica Korda of the United States, but Tseng never really found her rhythm (she was reportedly suffering from abdominal pains). It was always going to be tough to follow 2011, when she won 12 titles. “Twelve is a big number. Wow, that’s a lot of wins,” Tseng said last week. “But if I keep doing the right things, the things I’m doing, I can get better. I’m working on my mental game, and I can’t put too much pressure on myself. At least there was some excitement for Tseng to watch after her tournament finished. With six players tied for first place, there was a six-player play-off before Korda emerged triumphant.